How to get the latest build of Parallels Desktop for Mac? I can't download the latest build of Parallels Desktop using Parallels Desktop menu Check for Updates. The Parallels Desktop installation file was broken during the downloading process. 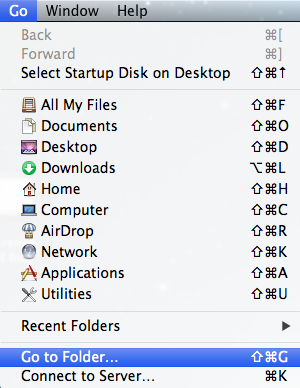 In Finder, click on Go menu, then click Go to Folder. Type in ~/Library/Parallels/Downloads and press Go. Locate ParallelsDesktop-X.0.xxxxx.dmg.prlupd-part file and delete it (move to the Trash and empty the Trash). 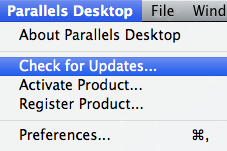 Then try to download the update for Parallels Desktop using the Check for Updates menu again.